Good morning! 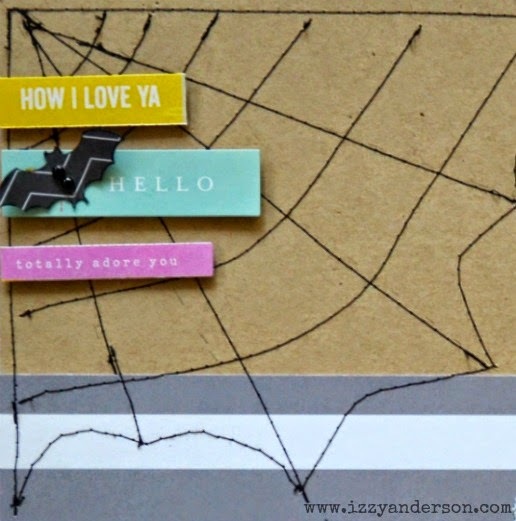 Today I have a layout with a stitched spiderweb that I made from the new My Creative Scrapbook kit. It was a fun layout to make! 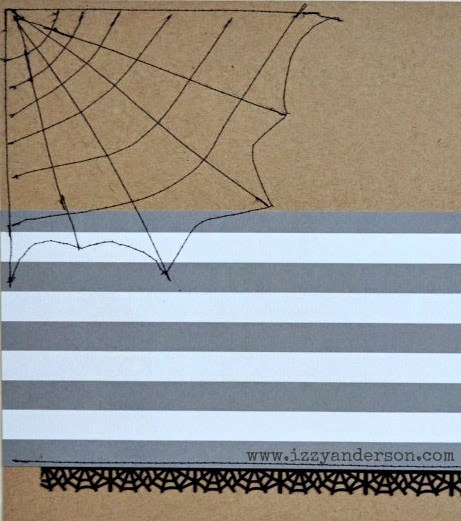 I started by adhering the striped paper to the background, then stitched a large spiderweb in the upper left corner. I stitched the web freehand. It's a little messy, but I solved that in part by adding some stickers on top. I used a Stampin' Up punch to make the bat. 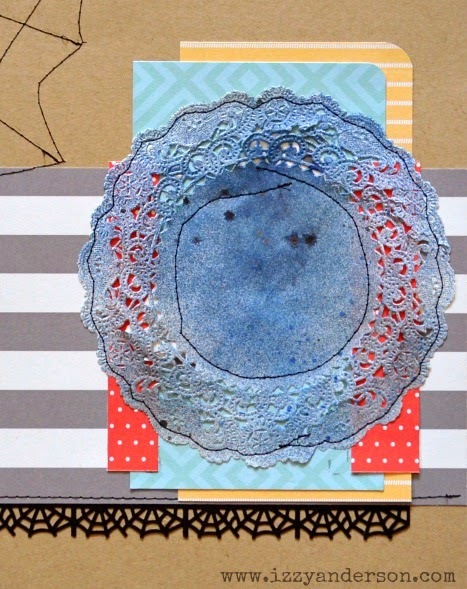 Next, I created a multi-layered photo mat, using a mix of papers from the kit. The papers are from the Home + Made collection from Pebbles Inc. I added a 6-inch white doily on top of the photo mat. I colored the doily with Night Sky mist from October Afternoon then stitched it down for a little extra texture. I added my photo and a few pop-dotted stickers. To complete the page, I added journaling strips, a title and a couple stickers in the corners for balance. I think it turned out pretty cute! 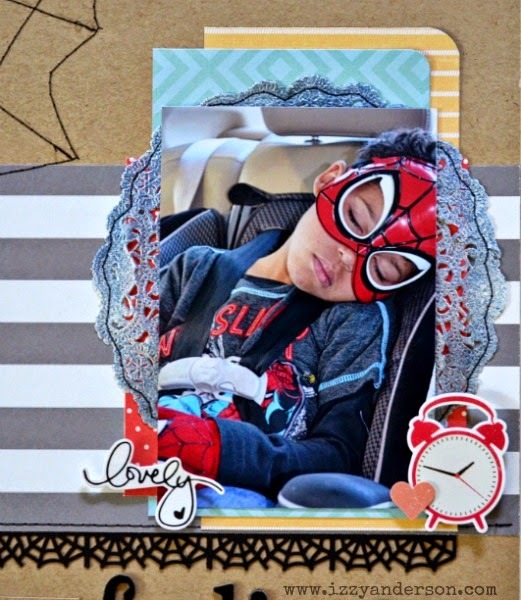 This November kit from My Creative Scrapbook is so versatile. It's not Halloween themed at all, but it worked just perfectly with this photo. Thanks so much for stopping by. Have a great weekend! 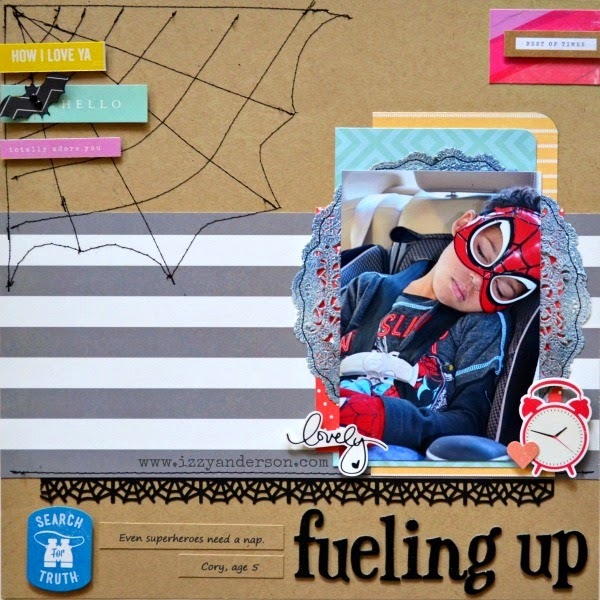 Labels: bat punch, Halloween, holidays, My Creative Scrapbook, October Afternoon, Pebbles, spiderman, Stampin' Up! I love everything about this. Everything. This is amazing! I love love love love that photo, the title and the web!!!!!!!! Fall At The Farm: Pebbles Inc.